Throughout my career, I have used a variety of tools for different projects of different scales: coding, PCB design, sales, network monitoring, and more. I am now building a network and application monitoring tool. Over these last couple of years, I’ve dug into many different types of tools, and I’ve also had the opportunity to discuss those tools with dozens of network and application engineers. One of the talking points is whether what we do at NetBeez can be done with other tools, and the discussion usually drifts towards the conundrum over Swiss Army tools vs. single purpose tools. Should I buy a tool that does everything or should I buy two or three tools that each does a specific task? The goal of having a tool that can do all types of monitoring (SNMP, netflow, end-user) and management (QoS, routing, switching) sounds like the way things should be. 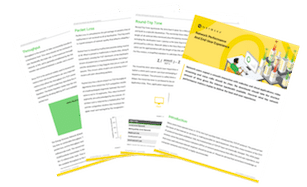 For good reasons, you’d probably like to have a single tool that integrates your entire infrastructure inventory, manages configurations, and monitors and alerts when something goes wrong. One of the main benefits of large, all-inclusive tool suites is that they are mature products with well-known features, and they are sold by large vendors that can guarantee long-term support and maintenance. However, trying to do too many things equally well is something that is very rarely achievable. Swiss Army tools are developed over a long period of time and are often the result of acquiring or merging single purpose tools into a larger suite with more bells and whistles. Single-purpose tools are frequently developed by startup companies, and they generally address new needs and trends in the IT space. Great examples of this are emerging tools for monitoring and managing cloud infrastructures and SDN networks. Their functions are limited to a specific task, which they tend to do very well. However, you may need several of these tools to cover all aspects of your operations, such as monitoring, management, and security. In addition, there is an increased risk for tools introduced by startup companies. Many startups go bankrupt and others get acquired, which puts the long-term viability of the tools and their support in question. Swiss Army tool suites come with a steep price. Of course, they offer a large set of functions and features. Usually, part of the price premium is full support and services. And all these are necessary for large enterprises for which their network is highly critical for their business operations and they can’t afford to take any risks with new, unproven tools or vendors. Single-purpose tools have a lower cost, but you may need several of them to cover all your bases. For small to medium enterprises, single-purpose tools are more attractive since they can have the tool that has only the features they need at a reasonable price. Naturally, large Swiss Army tool suites are more complicated to install and maintain. In addition, it’s a big business decision to choose a specific tool vendor and once installed, the overhead of switching is often cost prohibitive. This reduces flexibility and negotiation leverage if there is a need to replace a tool or some of its functionality. Since single-purpose tools are smaller in scope and functionality, they are easier to install and maintain. In addition, in case there is a need to replace them, it’s easier to deal with the associated cost. Again, the tradeoff here is obvious: Swiss Army tools require extensive training while single-purpose tools tend to be easy and more intuitive to use. Even after extensive training, few engineers master Swiss Army tools and can use them at their full potential, while bringing new users onboard can be challenging. This can become a liability when knowledgeable engineers leave the company or change roles. The answer to the debate over Swiss Army vs. single-purpose tools is: “it depends.” To make a decision, you have to assess the above factors, and it’s not often an easy one. 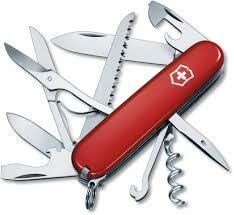 After all, even today’s Swiss Army tools were single-purpose ones once upon a time. P.S. I asked the questions “Swiss Army vs. single-purpose tools” on the Network Engineer Professionals LinkedIn group. You can see how some other network engineers weighed in here (you have to be a group member to see the discussion). If you want to learn about the Swiss Army end-user monitoring tool I am helping develop sing up for a demo here.